Go way beyond what the Site Publisher can do. 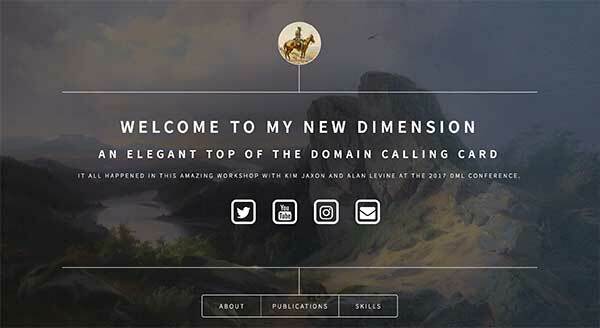 By all means you should feel either limited or frustrated about the first calling card site you created. Customization is almost impossible, and rebuilding can be clumsy. If you like it, great, move on to a different corral. The two options we provide below can go much further and create a better and more individualized site. They are both Wordpress themes, and can be installed in the same manner you published the first blog in your site. Setting them up will give you a little more experience in using Wordpress. 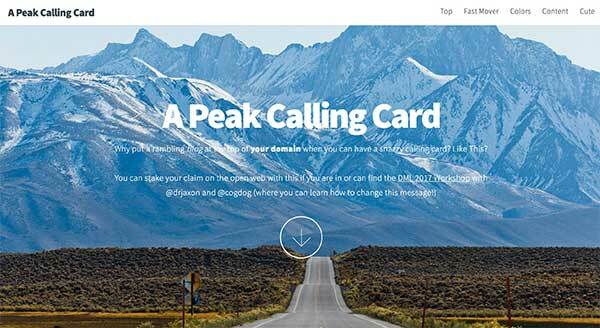 Elegant calling card in one screen, with up to 8 boxes of info that can outwardly link to more. A scrolling single front page site with large images. But this is the open web and these are not your only options. You can use any Wordpress theme. or if you know your way around HTML you might be better iff using the HTML5 Up templates these are based on. A "static HTML" site has the advantage of being much more lightweight (aka fast) as there is no database. It requires no software updates. You should develop your HTML content locally on your desktop (with these themes all content is in index.html and you may have to put images in directory to change backgrounds, each theme is slightly different). Once you have a first draft of your site, in your State U dashboard, look for the File Manager icon. Navigate to the public_html directory and upload all your site files there. Now when you visit your site, you should see your custom HTML one. Animated GIF of the two Wordpress Themes available in this section. 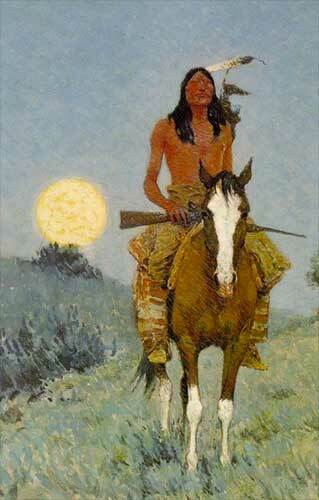 The Outlier by Frederick Remington public domain image in Wikimedia Commons.